The men and women of the Saints Peter and Paul Community in East Herkimer New York have brought together recipes that preserve the customs and traditions taught by their grandparents as they established homes in America. They have woven into this book messages and favored quotes to share their appreciation of the connection between an agrarian culture, shared meals, and spiritual life. It serves to teach and to preserve customs that enhance the yearly cycle of festivities, and provides a legacy not only to their children and grandchildren but also to all who open its pages and share the love with which they labored to bring this classic cookbook to fruition. Congratulations on putting together such a well-written and helpful cookbook. It is not just a terrific cookbook with fabulous recipes; it is a work of art. I am reading it in the way you read a book and enjoying every minute of it. I have quite a collection of cookbooks from everywhere, but yours surpasses them all! The recipes brought back memories of my mother’s cooking. The parishioners and friends of Saints Peter and Paul Orthodox Church took two painstaking years to assemble all of the recipes for this fine collection. 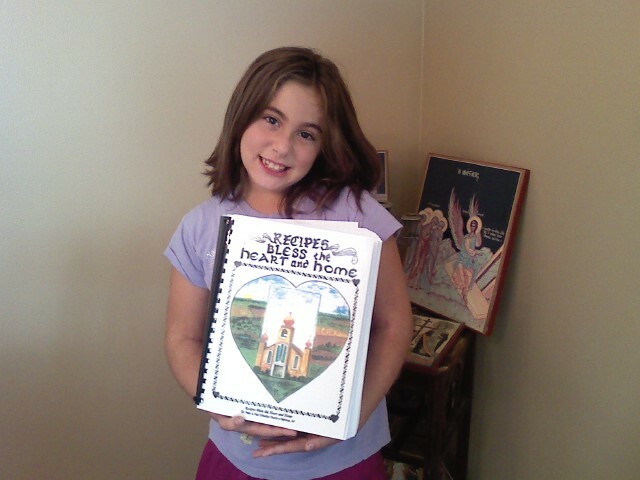 In the end, they compiled a world renowned cookbook of over 700 pages with more than 7500 recipes. Yes, that is correct. 700 pages of cooking delight. It features all of the classic ethnic favorites, as well as recipes for every occasion and cooking skill level. There are also special articles of ethnic and religious interest in the book. Our own member, Anne Anthony, accomplished all of the artwork. It has been so successful, that the first 1000 copies were sold in one week. They have been distributed throughout the 50 states and more than 15 countries! Selling for a very reasonable $20, it is the perfect addition to any kitchen or gift for a loved one. If you are interested in purchasing click on the link below for an order form and our address or call the Church directly at 315-866-3272. To place an order by mail, please click here. To try some of our recipes, click on the title below.